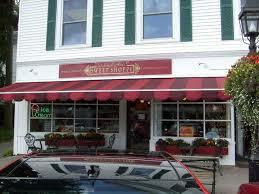 Looking for an experienced Ridgefield Home Inspector? Hire Allied Home Inspections LLC. 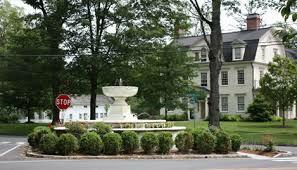 I have been inspecting houses here in Ridgefield Connecticut for 16 years. I provide structural inspections, radon testing, pest (termite) inspections, well water testing, pre-listing inspections, condo inspections, and more. 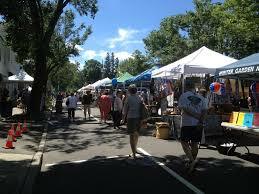 In the beginning of 2019 the website Trulia,com has reported that Ridgefield market trends indicate an increase of $42,500 (7%) in median home sales over the past year. The average price per square foot for this same period rose to $271, up from $269. Many of the houses here use oil for heating. Most homes I inspect here were built between 1950 -1980. Most homes get their water from a well. None of my past Ridgefield clients have informed me of a well going dry. 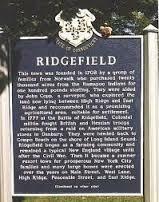 I do not recall any instances of finding arsenic or uranium when testing water samples from Ridgefield. You'll probably need the services of a septic contractor to inspect your septic system before buying a house in this town. This may be the most important aspect of your home purchase as septic problems can be very expensive. I have not seen any signs of the Connecticut crumbling foundations caused by pyrrhotite here. Some of the condo complexes in Ridgefield have crawl spaces, not basements. These are somewhat more prone to problems. Most lots are heavily wooded. 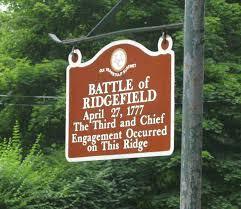 ​You can click here for local Ridgefield CT news. I wanted to thank you for your help yesterday, you were thorough, patient, level headed, and explained things in layman’s terms, which gave me a very good understanding of what was going on in the house. We have actually decided to withdraw our offer on this house, due to the extensive work/repairs needed, mainly with the windows, exterior, roof, and pest infestation. I will definitely contact you when we find the next one, so we’ll be in touch. Thank you again for your guidance, both my wife and I feel like you saved us a lot of money that we would have had to put into that house." "Top notch service, unbelievable depth of expertise and goes the extra mile. Couldn't be more happy with the thoroughness and reliability of Tom. Have used him now twice and couldn't have imagined trudging through the scariness that is the home buying process without his eyes on our property." Thank you for your great report and all the time you spent with me explaining everything. It really helped to make a tough decision. We are not going to pursue buying that home, so I will be calling you to help me with the next one." We would highly recommend you to anyone interested in buying a home!" "Allied Home Inspection is an excellent choice for a home inspector. We first learned of Allied Home Inspection when we were in the process of selling our condo. Tom was able to uncover repair issues that eventually lead to the sale of our unit. We knew then that we would definitely use Allied when we were ready to buy a home. As first time home buyers he lead us through the process of inspection with his vast knowledge of home construction. He diligently inspected everything from the roof down to every plug, spending nearly half a day. He even came back to the house on a Saturday when snow had melted to further inspect the roof. He was able find weaknesses that influenced our negotiations with the seller as well a safety concerns that we were able to address. Allied Home Inspections left us feeling confident knowing the home inside and out!" "Tom Schlotter of Allied Home did an amazing thing for me and I want to sing his praises because he didn't have to do what he did AT ALL. I was seeking a second opinion on an inspection by another inspector because the write up didn't address (I thought) my concerns and questions about the house. Tom could easily have said, sure, I will come to the house to do another inspection and collect his fee. But what he did instead was he sat on the phone with me for almost an hour, FOR FREE, and gave me his thoughts on the specific concerns I had. And what I REALLY appreciated and respected, and which really showed his professionalism, was that he never once said a bad word about either the other inspector or the report that he wrote up. I cannot tell you how much all of this impressed me. It went extraordinarily well. Tom listened respectfully and intently to all of my concerns and addressed each one, one by one, and gave me his suggestions, thoughts and ideas. I cannot say enough good things about him! I recommend him without reservation and will do so to anyone looking for a good inspection."